In the late 1980s, I studied at the University of Virginia under Dr. Bob Rotella. Rotella taught us that assessments or validated instruments were useless when working with athletes in the real world. Rotella’s view was that validated assessments, such as the TAIS, were only good for doing research, not to work in the field with athletes. But soon, I realized Rotella was wrong…. At the University of Virginia, while working with athletes on my own, I realized that mental coaches could benefit from using a mental game assessment—the right kind of assessment. After I graduated from UVA, I realized that an interview guide could be adapted as an assessment tool when working with athletes on the mental game. So I developed my own assessment for athletes that would help me understand athletes’ top mental game challenges. You don’t know athletes’ mental game challenges until you meet with them. You are left to use valuable coaching time because you are forced to use an interview approach. You are less organized without one. You can’t prepare any follow up questions or a coaching plan. You are unsure where to start the mental coaching process. Athletes are less prepared to discuss their mental game. You can’t track their progress because you don’t have a baseline. I was was shooting in the dark early in the coaching process…. I wasted a lot of valuable time trying to understand my athletes’ needs using an interview approach. When in fact, I could have used that time more efficiently if I had more information starting the coaching relationship. I searched everywhere to find a mental game assessment. Talking to other mental game experts, they also were concerned about the lack of an applied mental game assessment. My frustration drove me to create my own assessment. I realized an interview guide was extremely helpful for doing thorough interviews with athletes. With this idea, I created what is today the AMAP assessment. tools that I use along with over 150 certified MGCPs…. Working with some of the top athletes in the world including PGA Tour winners, LGPA Tour Winners, and NASCAR winners on techniques to improve confidence, focus, and composure for sports – over 15 years. Interviewing many top athletes in the world including Thurman Thomas, Michelle Akers, Ernie Els, Mario Andretti, and Helen Alfredsson to uncover the strategies, techniques and skills that keep these professional athletes at the pinnacle of performance. Owning and operating the world’s leading mental training web site with over 27,000 readers and hundreds of current members who are reaping the rewards mental game coaching brings to their performance. The AMAP System teaches you how to easily identify your athletes’ mental game challenges, what mental game issues to look for when reading the AMAP, and how to do a summary of the AMAP. In addition, you’ll also get follow up questions to ask and how learn about how to drill down on relevant topics. As a starting place for mental coaching. To help you improve your organization. To guide the mental coach for the follow up interview. To help your athlete start to think about their mental game. To assess your mental coaching success after a few months. To help you prepare follow up questions to get more information. You not only get all my mental game assessments, the AMAP Assessment system is a complete package that trains you what to look for and how to communicate with your athletes. I’ve spent over 15 years refining the AMAP Assessment system (with the help of MGCPs) and adding new sport-specific assessment including the GMAP, RMAP, MMAP and many others. The AMAP Assessment Coach’s Manual – This is the program manual for how to assess athletes’ mental game skills and how to look for mental game challenges. Coaching Areas Mindmap – This is a Mindmap showing the MGCP coaching areas and associated mental game challenges. Follow-Up questions – This is a list of 20 example follow-up questions for the AMAP that you can ask your athlete. Mental Game Challenges – A list of the top mental game challenges to look for when reading the AMAP. AMAP Summary Video – This video teaches you how to do a general sports AMAP. BMAP Summary Video – This video teaches you how to do a BMAP summary. Discovery Phase Video – This video teaches you how to do the discovery phase and how to drill down including follow-up questions to ask. It’s based on the above AMAP summary video. Swimmer AMAP Highlighted – This is a swimmer’s AMAP with highlighting so you can learn how to drill down. Swimmer AMAP Summary – This is an example AMAP summary that was done for this swimmer’s AMAP. Swimmer Follow-Up Questions – This is example follow-up questions specific to this swimmer’s AMAP. That’s not all… We’ve also included a few highly relevant bonuses to help mental coaches improve organization and communication. AMAP Summary Master Document – A master Word document that you can use to organize AMAP summaries. Communication Skills for Mental Coaches – An MGCP eBook that teaches you effective communication skills for mental coaches. Definition of Terms – To help you understand the top terms when doing an AMAP summary and identifying mental game challenges. What Are Mental Coaches Saying Who Use the AMAP? Who Can Benefit From Using The AMAP System? 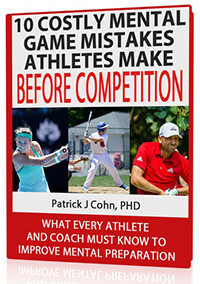 Any parent who wants to find out the root of their athletes’ mental game challenges. A full-time or part-time mental game coach or sports psychologists who want to learn how to best help their athletes. A psychologist or therapist already working with athletes, but who wants to do more with athletes by giving them this assessment. A life coach or sports coach who works with athletes already, but wants to break further into the athletics world and do more coaching with athletes. Invest in Your Mental Coaching Success! You DO NOT have to be a certified MGCP to purchase the AMAP Assessment System! However, this is the same system that certified MGCPs receive in the program – available to you now for the first time ever. Also, you can choose to upgrade to the MGCP Course, which is offered 3 times a year and become a certified Mental Game Coaching Professional. You can choose to upgrade to the MGCP Course, which is offered 3 times a year and become a certified Mental Game Coaching Professional. We offer you the flexibility to pay for the AMAP Assessment System in three monthly payments of only $199.00 US. You must use a valid credit card for this option. Three Payments of ONLY $199! Please note: Due to the fact that the AMAP is part of the MGCP system, we cannot offer you a money-back guarantee on this program. We know the AMAP system works because it’s been tested with 1000s of athletes over 10 years. In addition, once you download the AMAP assessment package, all assessments MUST remain intact with copyright information and without modification. Thanks for reading about my exciting and unique AMAP Assessment System. Please contact me if you have any questions about the program. p.s. Please secure your copy today before I decide to take it off the market.